With her trend setting, enviable fashion sense, Rosie Fortescue has been always been a go-to for style advice and inspiration. Rosie has been running her successful blog, At Fashion Forte since 2014 and has been collaborating with desirable fashion, lifestyle and beauty brands since entering the media limelight in 2011. 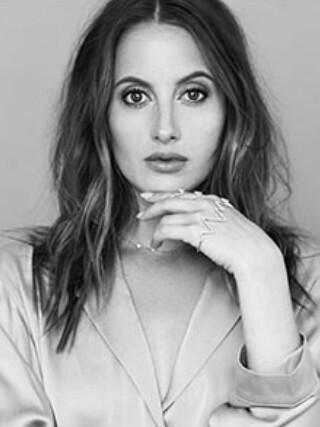 In 2015, Rosie launched her own jewellery line, Rosie Fortescue Jewellery where her hand cuffs, heartbeat rings and huggy hoops garnered the attention of recognised fashion royalty including Olivia Palermo, Ella Eyre and fellow influencer, Niomi Smart. Rosie’s Instagram following has rapidly grown, and she now has over 500k followers avidly awaiting her next post. On her Instagram, Rosie has collaborated with brands including Bicester Village, Victoria Secret, Huaweii and Daniel Footwear. Since 2017, Rosie has been an ambassador for Jo Malone and has attended many events for the brand. This year Rosie partnered with TreSemmé and will continue to work with them until the end of 2018.